At first, Golden ring of Zhetysu tour starts with a visit to Big Almaty Lake. 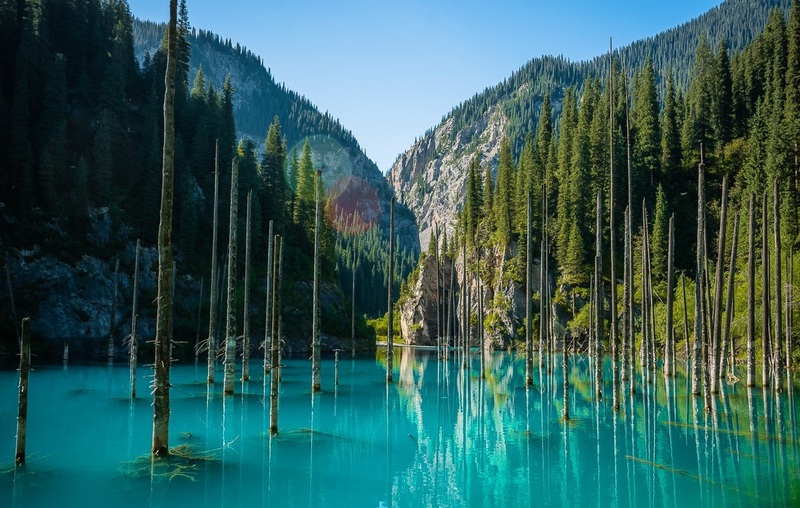 Big Almaty Lake is located in the gorge of river Big Almatinka, at height of 2511 m above sea level, in 28, 5 km to the south from Almaty. Then, there will be an excursion to Tamgaly. 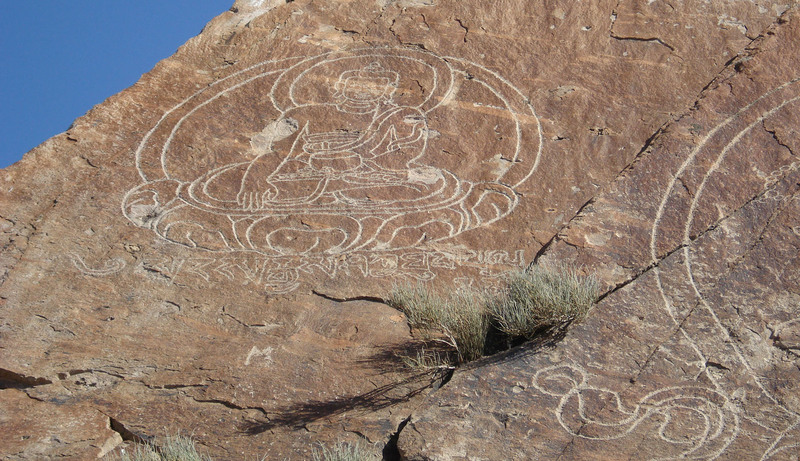 It is the biggest and known collection of petroglyphs of Kazakhstan. Tamgaly is located in the tract Tamgaly. It is the most famous center of the 50 centers of petroglyphs of Semirechye, the basin of Lake Balkhash. After that, you will visit the Turgen Gorge in the Ili-Alatau National Park. It is an ideal place to enjoy the beauty of nature. The gorge has hot springs, a trout farm, waterfalls and thick forests. Visit to Ili-Alatau National Park will be followed by Assy plateau. The plateau is located at heights of 2800-3200 meters. Since ancient times, it is being used as pasture. Scientists found remains of ancient humans, who lived here more than 5000 years ago. The well-known in Kazakhstan mountain observatory also located at Assy plateau. Also, we will cover the Canyon. 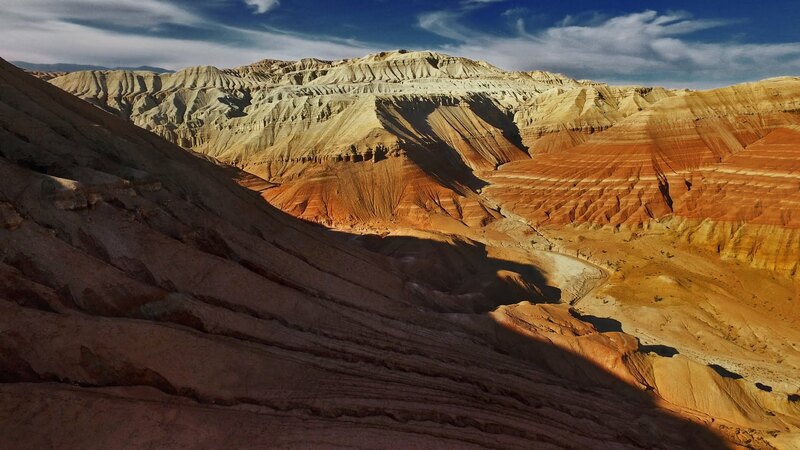 The Charyn has been described as the Grand Canyon’s little brother. The Canyon itself is approximately 150 km long, and, in places up to 300 meters deep. And finally, we will visit the Ili River. It is the largest river of Semirechye, flowing from east to west. The site, which extends our alloy – is a rocky canyon, unique in the presence – only on the Ili River. 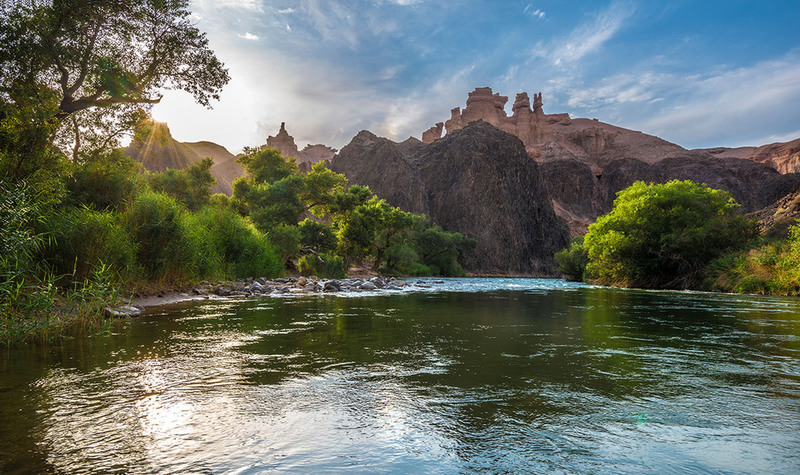 Four attractions – the Genghis Khan crossing, the rock “Devil’s finger”, a decorative fortress built for the filming of “Nomads” movie and finally the tract Tamgaly-Tas, where you can see traces of the Buddhists in the territory of Semirechye – five rocks with Buddha image. Arrival to Almaty. Transfer to hotel. Check-in. Meeting with guide in Almaty and transfer for city tour. 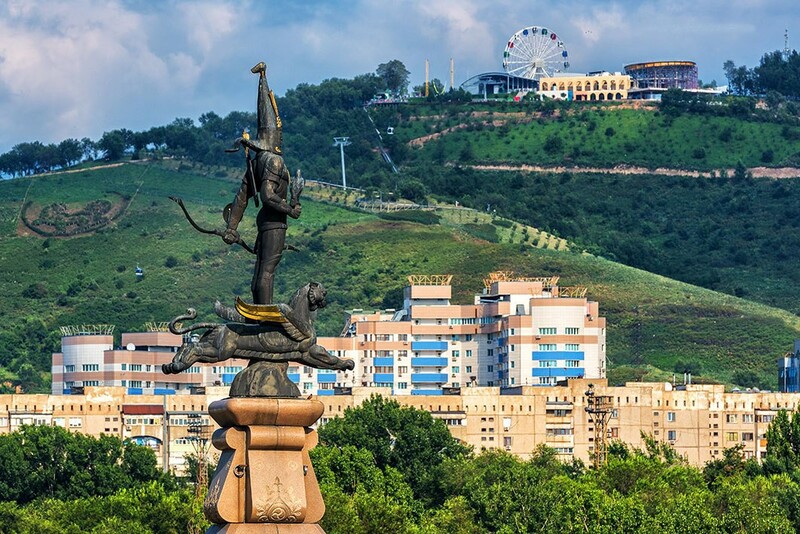 City tour starts from old part of city and includes main sightseeing of Almaty. 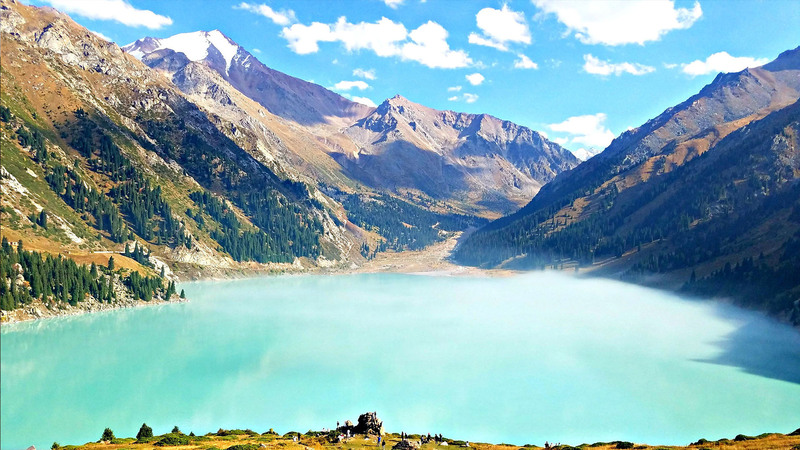 Big Almaty Lake is located in gorge of river Big Almatinka, at height of 2511 m above sea level, in 28, 5 km to the south from Almaty. Viewers get a lot of information about the history of falconry, the biological features and the way of life of birds of prey. Tasting of the national drink, made from camel milk named “shubat’. Excursion in Tamgaly – The biggest and known collection of petroglyphs of Kazakhstan, UNESCO World Heritage Site, is located in the tract Tamgaly. It is the most famous center of the 50 centers of petroglyphs of Semirechye, the basin of Lake Balkhash. Transfer to Issyk lake – (65 km)–Many archaeological monuments, barrows, burial grounds Golden Man were found here. Visit Issyk museum. Turgen Gorge in the Ili-Alatau National Park (90 km from Almaty) is an ideal place to enjoy the beauty of nature. The gorge has hot springs, a trout farm, waterfalls and thick forests. Accommodation at camping club. Transfer to Kaiyndy Lake (20 km from Kolsay). It’s a very young lake that appeared only in the beginning of the last century as a result of the 1911 earthquake. Lunch during excursion. Drive back to the guesthouse. 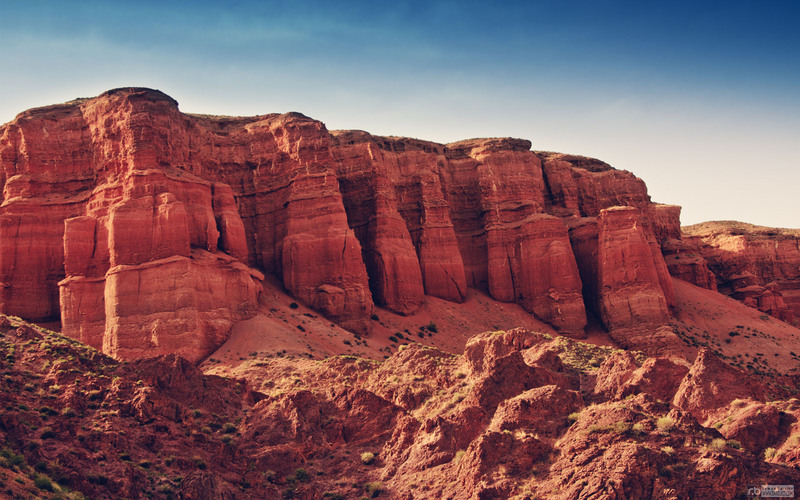 Transfer to Charyn canyon (about 80 km from Kolsay lakes). The Canyon has been described as the Grand Canyon’s little brother. The Canyon itself is approximately 150 km long, and, in places up to 300 meters deep. 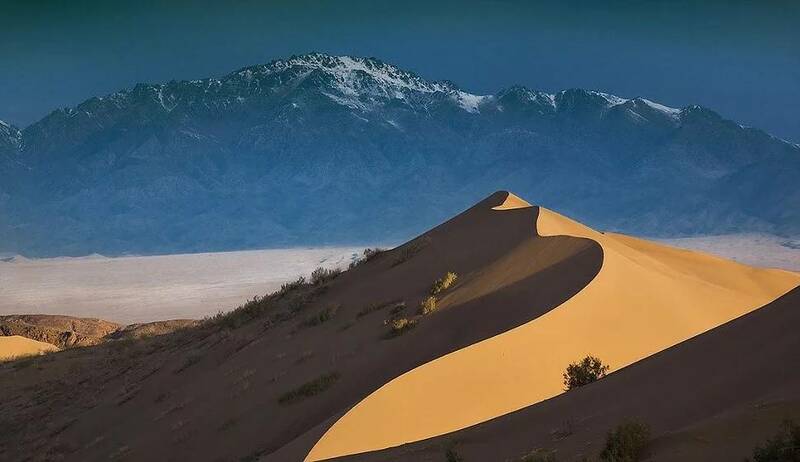 Afternoon transfer to Altyn emel national park (60 km), visiting of singing dunes. Overnight in Kazakh yurts. After breakfast departure to Aktau, Katytau colored mountains (about 60 km). Drive to Kapchagay city. Accommodation at hotel. The Ili River is the largest river of Semirechye, flowing from east to west. The site, which extends our alloy – is a rocky canyon, unique in the presence – only on the Ili River. 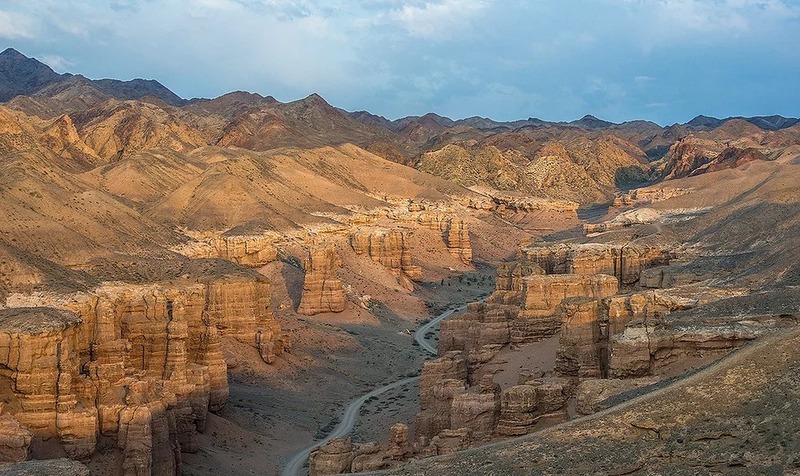 Four attractions – the Genghis Khan crossing, the rock “Devil’s finger”, decorative fortress built for the filming of “Nomads” movie and finally the tract Tamgaly-Tas, where you can see traces of the Buddhists in the territory of Semirechye – five rocks with Buddha image. Departure to Almaty. Dinner at the city. Accommodation at hotel. Rest. Overnight. Ethno center “Gunni” – is a great way of life, traditions and customs of nomadic Kazakh people. We have tried to transfer the aura of the past, which is stored in the history of our present, and realized all this in the creation of the base. After show at ethno center depart to Almaty. Dinner at the city. Transfer to hotel. Overnight.